We give you our personal guarantee that you will "NEVER" be asked for any personal information, you will "NEVER" have to testify in court, and that your tip truly is "ANONYMOUS". out with. You can also text messages and submit photos on this website. On Sunday, October 21, 2012 at approximately 7:15 PM., a motorcyclist was traveling East bound on FM1462 and struck a car that was pulling out from CR606A and was killed. The vehicle that was involved in the accident is a silver,1998 Honda Civic. The driver of the vehicle fled the scene on foot and is sought for questioning. Remember, you identity is totally ANONYMOUS and if the crime is solved based on the information that you have given, you could receive UP TO $5000 in reward money! Click below to submit your information. You may also contact Sgt. Craig Cummings, at 281-692-1523. Apartments located at 1300 E. Broadway. Anyone with information about this crime is asked to submit a tip by clicking the "Help Solve this Crime" tab below. 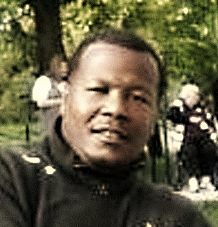 If you tip helps solve this case you could receive up to $5000 for information that leads to an arrest or conviction. You DO NOT have to give your name to be eligible for a reward. Department at 281-997-4100, or detective Chad Rogers at 281-997-4193. UP TO $5000 REWARD !! 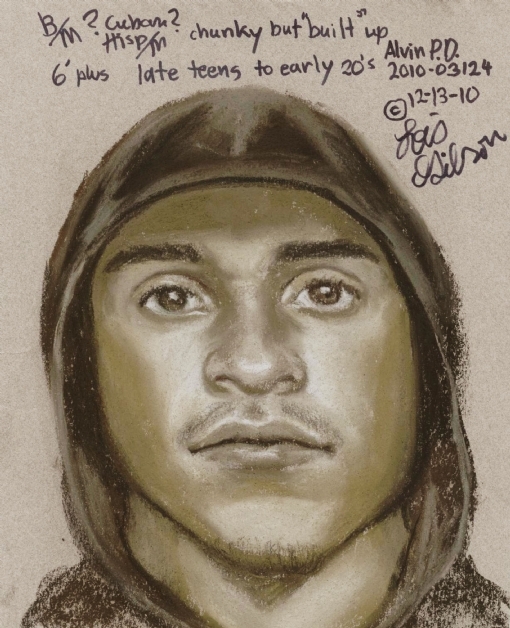 Brazoria County Crime Stoppers is seeking the public`s help in the home invasion/homicide that occurred on Oct. 10, 2010, at approx. 2 am. in the 3100 block of Springdale in Pearland, TX. Brazoria County Sheriff’s Department received a call from a home security company stating that a robbery was in progress. While in route, the sheriff’s department received a second call from and individual on Springdale St. advising that the resident was informing him that someone had entered the house with a hand gun and was demanding money. Upon arriving, the deputies found the body of Anthony Terrell Williams, age 37. The suspect is described as a black male, approximately 5ft. 10in., 185 lbs. He was wearing all black clothing and armed with a handgun. 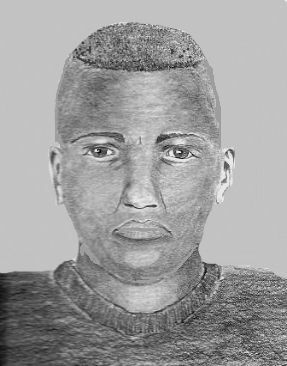 Below is an artist`s sketch of the suspect. REMEMBER... YOU DO NOT HAVE TO GIVE US YOUR NAME OR TESTIFY IN COURT......EVER! The Alvin Police Department is asking for the public’s help in solving the home invasion/robbery that occurred on Dec.1, 2010, at a mobile home located on Rosharon Rd., in Alvin, Texas. At approx. 8:40 pm. on Wed. Dec.1, 2010, a 16yr. old female was drug out of bed and thrown to the floor by two men. One of the suspects removed property while the other suspect watched over the victim. The men left and the victim grabbed her child and ran to a neighbor’s house. The first suspect is described as a black male (possibly Hispanic), about 6’2”-6’/4”, 285-295 lbs., dark complexion, stocky, strong build, thin goatee, early 20’s. The suspect was wearing a black hooded jacket, t-shirt, pants, shoes, and black gloves. diamond-like stone stud earring in one ear, and wearing khaki shorts and white basketball shoes. There was an unfamiliar dark-colored, older model pick-up parked across the drive from the victim’s residence prior to the incident. Brazoria County Crime Stoppers is offering UP TO $5000 for information leading to the arrest and charges filed in this case. Crime Stoppers gives you our personal guarantee that you will never have to give us "ANY" personal information, and that you will never have to testify in court, and that your tip truly is "ANONYMOUS". UP TO $5000 REWARD OFFERED!! 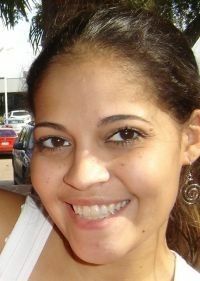 The Freeport Police Department is currently seeking the public’s help in the possible homicide of Krystle Bezner, 24 years of age, who was found dead in the waters of Bryan beach, on or about April 2, 2010, in Freeport, TX. Krystle had friends that were into drugs and she didn’t always make the best decisions for herself. When Krystle Bezner’s mother didn`t hear from her daughter after several days, she reported her missing to the Alvin Police Department. Hours later, Alvin and Freeport police told Becker they found Bezner`s body in the water by Bryan beach.